Can I issue invoices for my ticket sales? 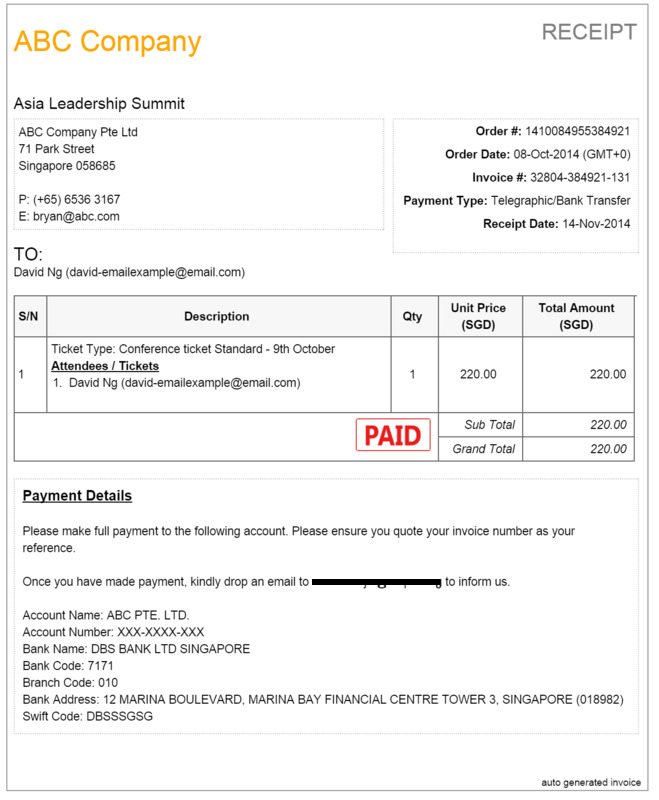 EventNook provides auto-generated receipt and tax invoice for event ticket sales. 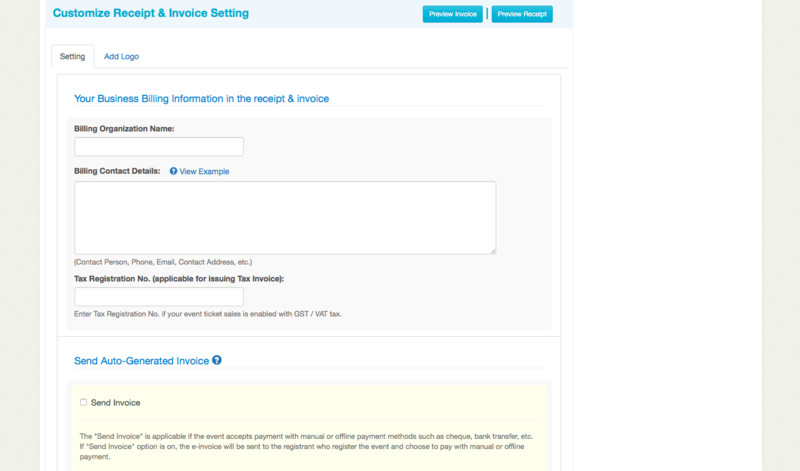 Users are able to edit details such as their Billing Organisation Name, Billing Contact Details and Tax Registration Number. If they choose to, users may also "send invoice" if it is applicable. Adding of the company/event logo is also possible. Contact us at +65 6681-6571 or email us at hello@eventnook.com for further enquiries!